With the increasing militarization of national borders along the so called “Balkan Route”, Serbia and Bosnia have become the main transit countries for people on the move towards Western and Northern Europe. However, what was for a brief timespan an open “Balkan Corridor” has now turned into a “Balkan Prison”, dangerous and without exit for those trapped inside . 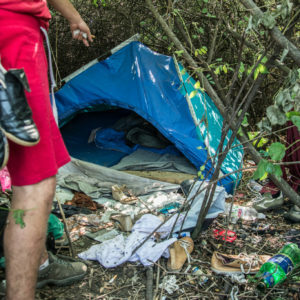 After Hungary started building massive border fences in the fall of 2015 and after Macedonia, Croatia and Slovenia announced the closure of their frontiers in March 2016, Donald Tusk, president of the European Council, defined the Balkan route as “closed”. He declared that “irregular flows of migrants along western Balkans route have come to an end” . Today, the systematic fortification of borders is still continuing across South-Eastern Europe, increasingly exacerbating the situation for people on the move. The southern borders of Hungary and Slovenia are completely fenced off now. The same applies to the Turkish-Bulgarian border, part of the Bulgarian-Greek border, the Greek-Macedonian and parts of the Serbian-Bulgarian border (see map). Where borders are not yet physically sealed, they are heavily controlled by police who often use violence as a deterrent. Yet, this policy of closed borders does not reduce migration flows, nor does it close the route. Instead, people on the move are forced to seek more and more dangerous paths towards Central Europe. Since there remain very few, if any, legal possibilities to cross the border, many people see themselves forced to go “to the game”. This is the expression commonly used for trying to cross the border irregularly, either alone or with the help of a smuggler, often including long walks in the dark, hiding in lorries or clinging to freight trains. In these “games”, chances for success are dim, and in some cases they end deadly: In the night of November 20/21 2017 a six-year-old girl was hit by a train and died when she was travelling with her family and in the night of September 9/10 2017, a young Algerian man lost his life when accidentally touching an overhead cable, trying to hide in a train- just to mention two cases in the area where we are recording incidents. 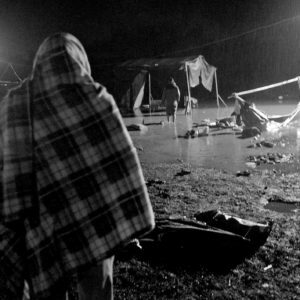 In 2015 and 2016, 27 migrant deaths were recorded along the Western Balkans route, where in comparison none were recorded in 2014 . The Missing Migrants Project counted 18 people that died 2018 in the Western Balkans until November, most of them drowned in rivers . In 2018, this is the reality for anyone attempting to enter to EU without the right papers. After having been driven out of their homes by war, persecution and lack of perspective, people are coming to Europe in search of peace and security. Instead, they find themselves caught in limbo in front of the European borders for months on end, often in an endless cycle of “games” where they are repeatedly abused and humiliated by violent border guards.